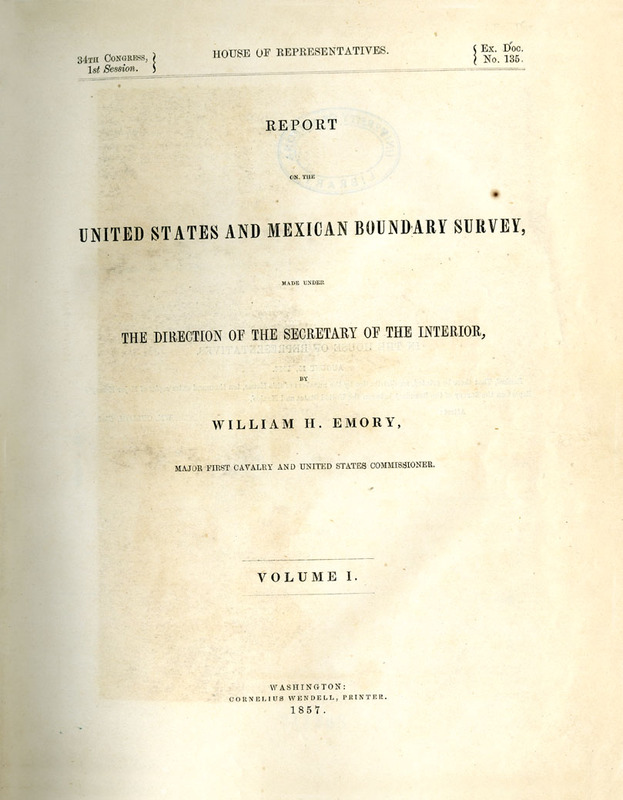 Emory, William H., “Report on the United States and Mexican Boundary Survey,” Arizona 100: Essential Books for the Centennial, accessed April 21, 2019, http://speccoll.library.arizona.edu/online-exhibits-dynamic/az100/items/show/294. 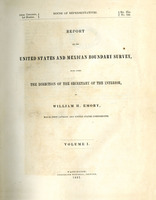 Shortly after ratifying the Treaty of Guadalupe Hidalgo (1848) and the Gadsden Purchase (1854), Congress authorized a boundary survey of its new property. Southern Arizona was new and wonderful ground. Lieut. Emory was placed in charge and the result ranks alongside other great government-sponsored expeditions to the American West. His report is a delightful blend of original scientific illustrations, sketches of landmarks, Arthur Schott’s paintings of native people, and adventure stories.